Mining on the ocean floor could do irreversible damage to deep sea ecosystems, according to a new study by researchers from the University of Exeter and Greenpeace. The deep sea (depths below 200m) covers about half of the Earth’s surface and is home to a vast range of species. Little is known about these environments, and the researchers say mining could have “long-lasting and unforeseen consequences”– not just at mining sites but also across much larger areas. Rising demand for minerals and metals, including for use in new technology, has sparked renewed interest in seabed mining. Despite the term “mining,” much seabed mining would involve extraction of minerals over very wide areas of the sea floor rather than digging down to any great depth, potentially leaving a vast footprint on the deep-sea habitats in which these mineral deposits occur. “Our knowledge of these ecosystems is still limited, but we know they’re very sensitive,” said Dr. David Santillo, a marine biologist and senior Greenpeace scientist based at the University of Exeter. Last year, the MIDAS project, which is made up of scientists, industry figures, NGOs and legal experts from 32 organisations across Europe, also warned on the potential for environmental damage in deep sea mining. They found that new environmental issues need to be considered, such as the large surface areas affected by nodule mining, the potential risk of submarine landslides through sediment destabilization in gas hydrate extraction or the release of toxic elements through oxidation of minerals during mining. There is a risk that the mining process will release metal ions into the water column, either in the benthic plume created by mining vehicles or, following dewatering on the surface vessel, in a mid-water plume. Such plumes can potentially travel hundreds of kilometres, carrying potential toxicants with them. 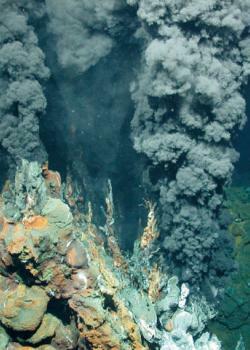 Mid-water plumes may impact photosynthetic microalgae or animals within the water column. Currently the U.N. Convention on the Law of the Sea (UNCLOS) governs activity on the seabed. UNCLOS states that international waters are the “common heritage of mankind” and that the International Seabed Authority (ISA), based in Jamaica is the body responsible for administering it. The ISA has signed a number of mining deals.